A non-custodial parent is a parent who does not have physical custody of his or her children. It should be noted, however, that it's possible for a non-custodial parent to have legal custody, even though he or she does not have physical custody. In addition, many non-custodial parents enjoy liberal visitation rights, pay child support, and are actively involved in their children's lives. "Non-custodial parents are deadbeats." Although it does happen, it's rare for a custodial parent to owe child support to a non-custodial parent. Therefore, of the individuals who owe child support and choose not to pay (thus earning themselves the title of "deadbeats") the vast majority happen to be non-custodial parents. However, it is completely inaccurate to say that non-custodial parents, in general, are deadbeats who choose not to pay child support. There are many involved, loving, non-custodial parents out there who pay child support on time every month. "All non-custodial parents are fathers." According to the most recent single parent statistics, most non-custodial parents are men. 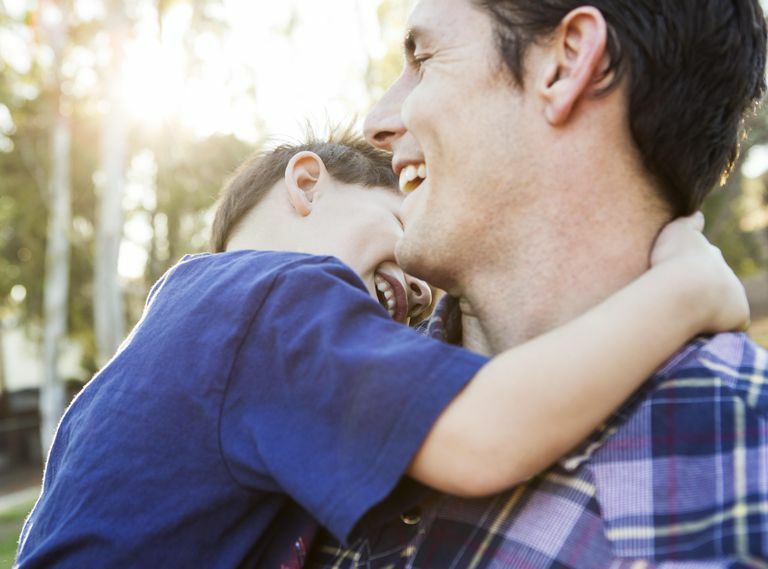 However, more and more courts are recognizing the important role single dads play in their children's lives and are more willing than ever to award joint custody and/or sole custody to fathers. "Non-custodial parents are not involved in their kids' lives." This is another widely-believed myth. Many non-custodial parents work extremely hard to be involved in their kids' lives since the time they have together is limited. "Non-custodial parents aren't really single parents." It's true that custodial parents usually bear the brunt of the work it takes to raise children alone, including the need to provide food, shelter, clothing, education, and medical attention. However, when non-custodial parents have their children for overnights or extended visits, they are indeed single moms and dads, working just as hard to provide the care their kids need as the typical custodial parent. "Non-custodial parents voluntarily gave up custody." This is another commonly-held myth that isn't true across the board. Yes, some non-custodial parents did voluntarily give up custody. Some chose not to be involved in their kids' lives, while others lovingly gave up physical custody because they truly believed it was in their child's best interests to live in one home, rather than traveling back and forth. Stay involved! Your kids need you, and even if they don't show it, they do want you around. Give it time. Still struggling in your relationship with your ex? Healing takes time. Just because things are difficult right now doesn't mean they'll always be this hard. Create a visitation schedule and stick to it. Demonstrate your trustworthiness by sticking to the schedule you've agreed to, even when doing so may be difficult or inconvenient. Stay hopeful. Even if you've been denied custody, you may be able to appeal your case or file again in the future. Surround yourself with people who care. Especially if you've been denied a custody request by the courts, you'll want to surround yourself with people who care and who will listen as you share your heartache and disappointment.